Will it take a year to build? 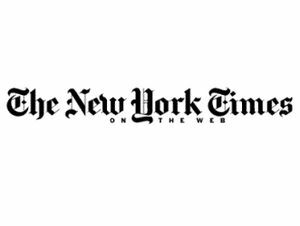 The New York Times has announced that it is to put its website behind a pay-wall in 2011, giving users the option to view the full site for a fee. Although deemed by some to be archaic, the pay-wall idea has suddenly become flavour of the month, due to newspaper publishers the world over worrying about how they can successfully monetise their online content. The New York Times has said that it will use a 'metered system' for its website, which will allow for a limited number of articles to be accessed for free. This is a similar approach the Wall Street Journal takes with its website. Owned by News Corp, the WSJ looks set to be the blueprint for the upcoming pay-walled websites for the Sun, News Of The World and the Times Online - as outlined by CEO Rupert Murdoch. As the New York Times is one of the world's most-read websites, this announcement may well be seen as a significant step in how newspapers will be viewed online in the future. Couple this with the up-coming, much-rumoured launch of the Apple Tablet and it seems that it could well be all-change for web-based publishing outlets.